Free Shipping AND Free T-Shirt On Orders Over $149.00! Home>Free Shipping AND Free T-Shirt On Orders Over $149.00! Coupon expires 04/01/18 at 12:00 pm est. 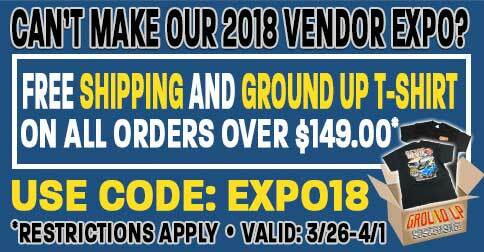 *EXPO18 coupon code valid until 04/01/18 at 12:00pm est!